You are here: Home / Events / Calling All #LitterHeroes! 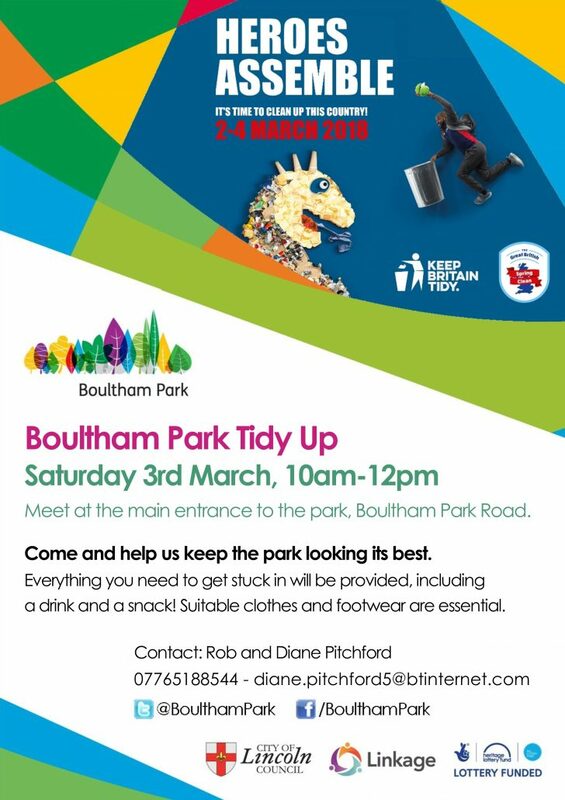 Come on down to Boultham Park on Saturday 3rd March, between 10am and 12pm, to help us keep it looking its best. Our litter picks have a great community feel and are suitable for all ages. Friendly members of the project team and our regular volunteers, Rob and Diane, will be on hand to provide everything you need to get stuck in, including a cuppa and snacks at the end! Suitable clothes and footwear are essential. Our meeting place is at the main entrance to the park, just off Boultham Park Road. Please arrive for a 10am start, as we are prompt at heading out!